“Are we there yet?” It’s the dreaded phrase of family road trips and around the Puget Sound region, probably most heard up and down the Interstate 5 corridor. I-5 offers an efficient route, but let’s face it — it’s not always the most interesting or scenic. A great solution is to hop off the highway now and again for a quick play stop. Here is a round-up of kid-tested pit stops that also offer some family fun along I-5 between Portland, Seattle and Bellingham. While these stops definitely won’t make your trip faster, they may just make getting there half the fun — or at least bearable. Note: Exits refer to a northbound route. Exit numbers are the same either direction of travel; however, in some cases a different exit may be quicker if you’re southbound. The top link in each blurb links to a Google map. Need to regroup already?! 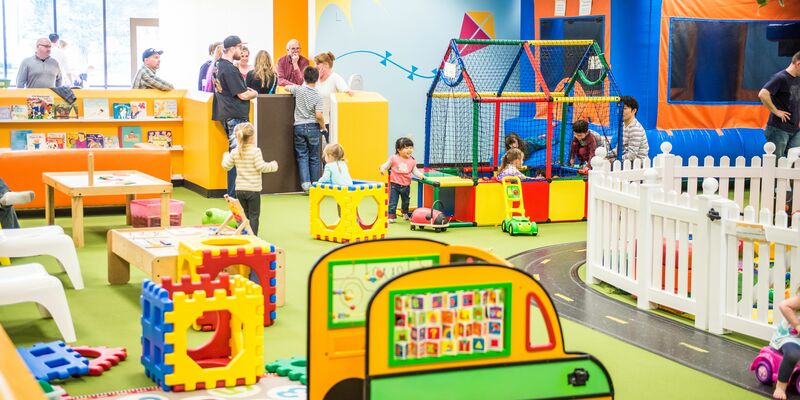 Take Exit 181A and fuel up at PlayHappy Café, an indoor play space less than a mile from I-5. Parents can enjoy a coffee and free wifi while kiddos in the 6-and-under set roam the shoeless play area. Admission to the play space is $8–$11; adults and babes-in-arms are free. Discounted multi-visit play passes are available for frequent visitors. Note that weekend hours are limited. Don’t forget your socks! 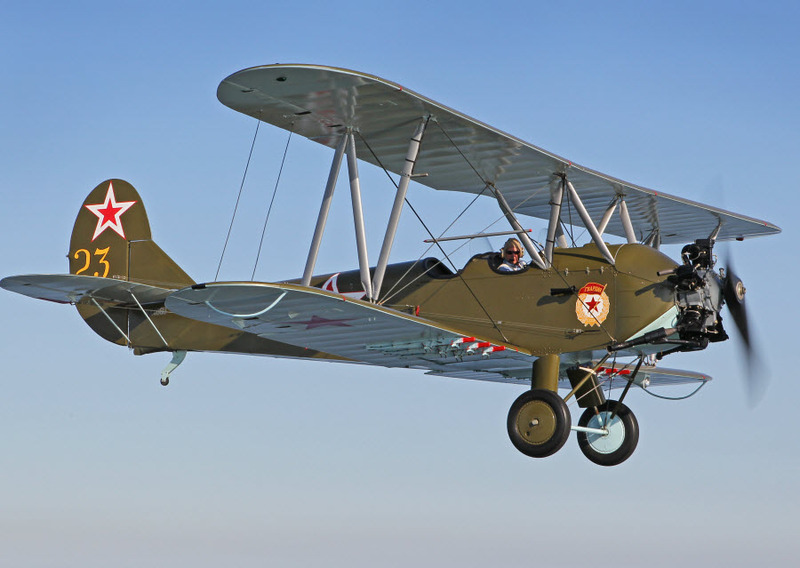 History and aviation buffs will want a return visit to see the Flying Heritage and Combat Armor Museum at Paine Field, a collection of iconic fighter planes from around the world housed inside two enormous hangars. It’s about 15 minutes from the freeway via Exit 186; admission is $12–$18 and kids ages 5 and under are free. Everett boosters will likely protest the pit stop label, and you may want to return when you have time to linger. The excellent Imagine Children’s Museum is a short jog off the freeway, and worth a visit, although it may be hard to tear your kids away from the water table and the dinosaur dig. Don’t miss the rooftop playground if you visit on a sunny day. Admission is $12 per person (under 1 free); check the website for daily hours and occasional specials, such third Friday free admission. Also, read ParentMap's guide. Reach the downtown Everett museum via Exit 193 coming from the south. The Evergreen Arboretum and Gardens sits a scant three miles from the freeway at Exit 195, and a stroll around this scenic spot is free! It's open daily from dawn to dusk. There are lots of family-friendly eats near Exit 206. If you’re willing to add a few extra miles into your trip, find Country Burger instead and order a blackberry milkshake. It’s about 5 miles to the west of I-5 on WA-531/172nd St N.E. If you just need a pit stop and not food, there is also a popular rest stop just north of Smoky Point. Though nothing special, it’s well maintained. This popular produce stand is just off the freeway. In addition to all kinds of fresh, local produce, they sell homemade pies and other goodies. Openings are seasonal. Much of this area is still farmland, so you may have other opportunities to stop for just off-the-vine goodness. If you see one, take it! Take Exit 226 to reach Lions Park. This pretty park is adjacent to the Skagit River so the whole family can enjoy the view or a short leg stretch. There's a play structure plus picnic tables and restrooms. It’s one of several parks in the city close to I-5. If you haven’t had your fill of road treats by now, local mom Lori recommends the old-fashioned ice cream parlor Big Scoop. Be warned: As the name suggests, everything here is a calorie splurge. You’ll see Burlington’s many outlet stores from the freeway. 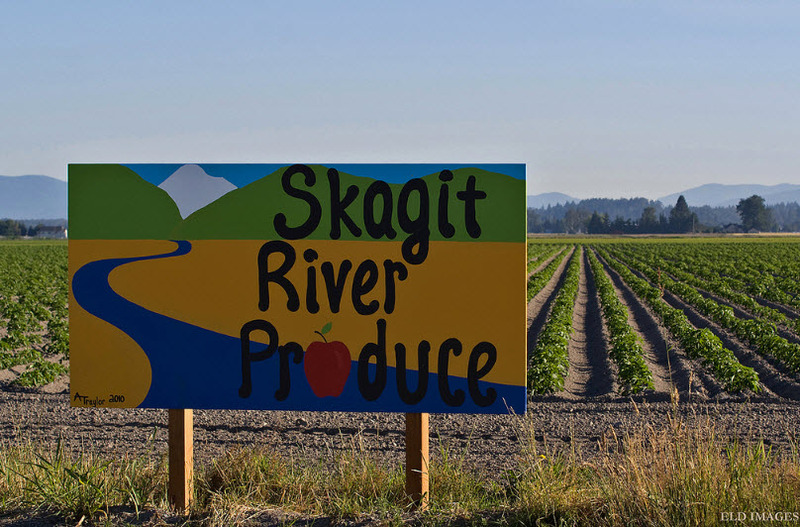 Now you can hit the outlets and the Skagit Children’s Museum in one stop, as the museum just finished their first phase of relocation and renovations (phase II to be completed in Summer 2019, but they're open now). Admission is reasonable for adults and kids; babies are free. The new facility is located at the southeast end of the mall (near Costco) between Carter's and The Gap. Check website for current admission prices and hours. You’ll also find chain restaurants of every description in the area. Most exits between here and Bellingham have fuel (and espresso, naturally), but other services get sparse, so Burlington is a good place to get gassed up and snacked up for the final leg of your trip. A pretty lake and easy hiking trails just three-quarters of a mile from the freeway? Yes, at Squires Lake Park! If you don’t have time to do a hike, do try to find the beaver dam. If Bellingham is your final stop, you’re in luck. There is plenty to explore in this family-friendly town. If you’re on your way across the border, you may consider taking time to explore the charming Fairhaven district on the south side of town or one of the town’s many excellent parks. We love Whatcom Falls Park, and Fairhaven Park is a great place to play, run around or kick the soccer ball if you need to get the wiggles out. Other stops: Hit the farmers markets (Saturday all year downtown and a new market now at Barkley Village every Wednesday from June–September), the SPARK Museum of Electrical Invention (formerly the American Museum of Radio and Electricity) or the Bellingham Railway Museum. Time for another treat? You can't go wrong with Mallard Ice Cream downtown or Perch and Play on State Street. Note: Unless otherwise specified, directions refer to a southbound route. Exit numbers are the same either direction of travel; however, in some cases, a different exit may be quicker if you’re northbound. Proud residents will tell you that Tacoma is a destination in its own right (and they're right), but if you only have time for a quick stop, head to the museum district. Walk across the Chihuly Bridge of Glass (connected to the Museum of Glass), possibly the most artistic pedestrian overpass! The Children’s Museum of Tacoma is also just a few minutes from the freeway, and admission is pay-as-you-will, making it easy to get your money’s worth. (Warning: Children may rebel at a too-quick visit.) The Washington State History Museum is another fun stop: Check out the model train set-up. Tips: Parking is tight in the Museum District area. Consider using the free parking at the Tacoma Dome transit center and ride the Tacoma Link Light Rail (now free until 2022!) to the second stop, 19th and Pacific. 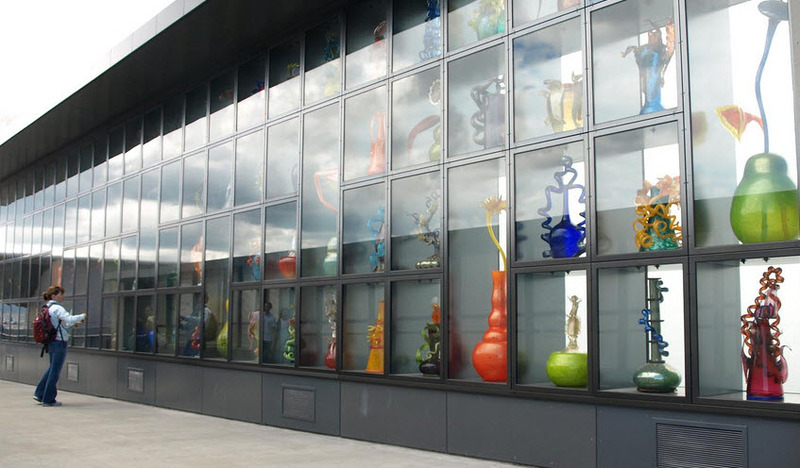 From there, walk across the Chihuly Bridge of Glass to the Museum. Another option is to park on Pacific or pay to use a space at the History Museum. The Billy Frank Jr. Nisqually National Wildlife Refuge is directly off I-5 at Exit 114 and well worth the stop. 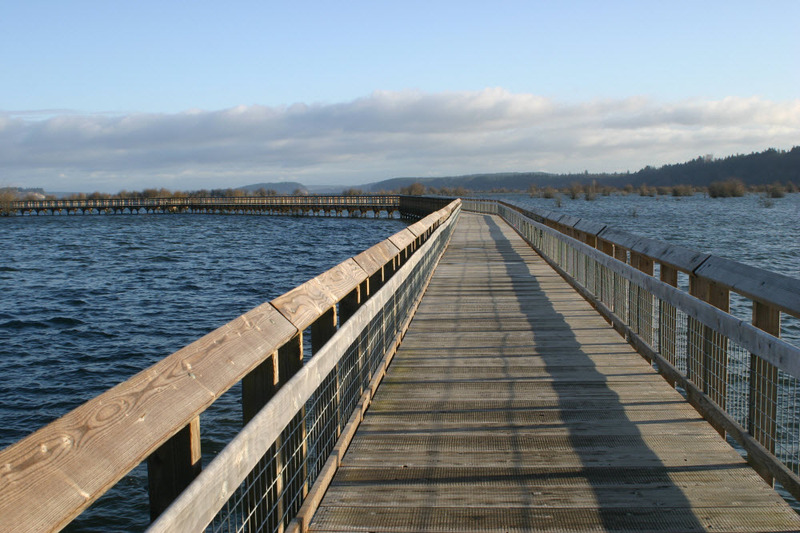 There is a nature-based playground for children, a visitor center, and miles of flat boardwalk. Explore as little or as long as you’re able, and it will cost you just $3 for four adults. Children 16 and under are free. Note that dogs are not allowed and that literature emphasizes that this is refuge rather than a park — great for a stroll but select another spot for a run or a game of tag. The Cabela’s store is just off the freeway at Exit 111. Oh, sure, it’s best known as a haven for sportsmen, and yes, you’ll see a lot of camo. If you can overlook that, there are lots of things for kids to look at, including a small aquarium, and all kinds of stuffed animals (the real kind)! At the same exit, The Mayan Mexican restaurant just before it is a popular choice with families and has weekly kids-eat-free nights. Our state capitol Olympia is another town worth a day trip or more. If you can only spare a bit of time, consider taking Exit 105 to the Washington State Capitol Building grounds and popping in to have a look at the rotunda. 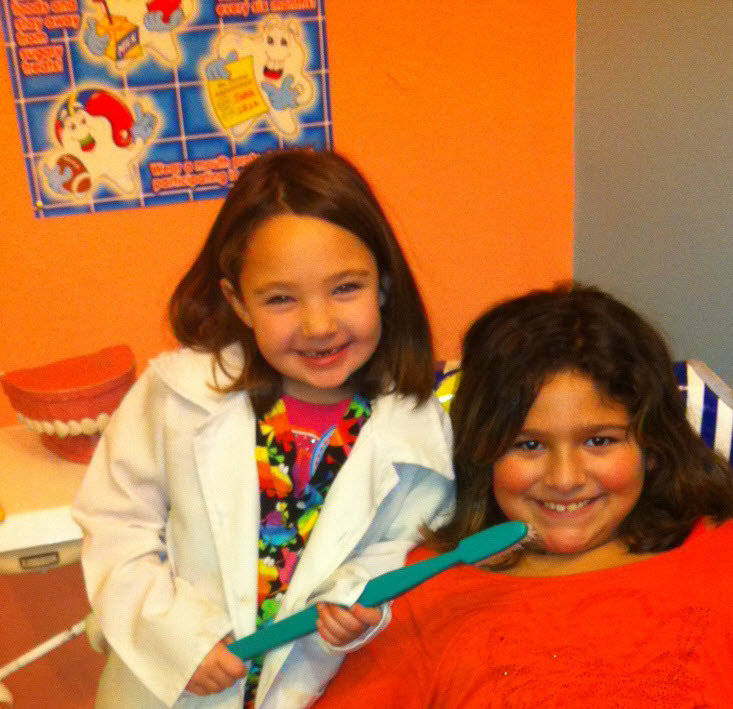 Save the excellent Hands On Children’s Museum and the many area parks for a visit when you can dedicate a day or more. Tumwater Falls off Exit 103 is a beautiful park with miles of trails if you want to explore, or a quick viewpoint if you just want a peek. There is a small, boat-themed playground. 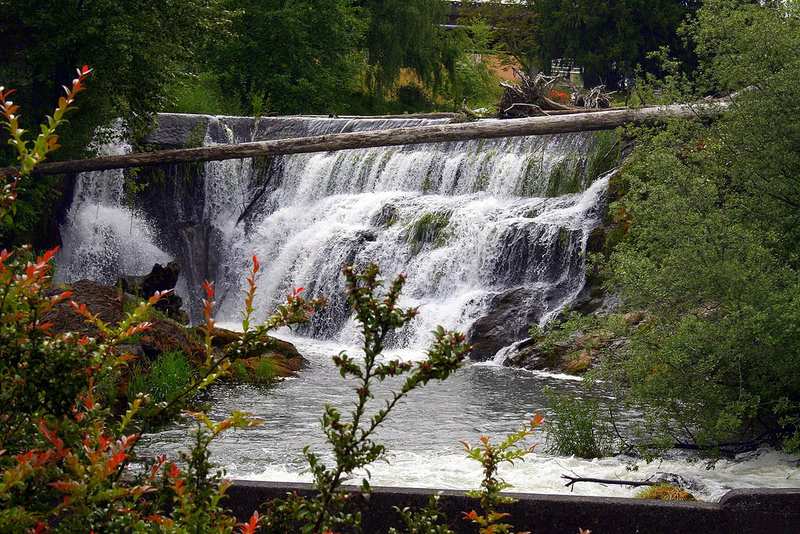 Historical Park, at the other end of the falls, is actually a separate park run by the City of Tumwater. It has three nice, new play structures for big and little kids. The Maytown rest area is between Tumwater and Chehalis/Centralia. It’s just a rest area, but a good one if you’re in need! 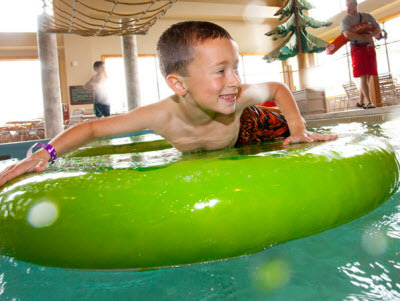 Your kids already know about Great Wolf Lodge, located just off Exit 88. Only overnight guests can access the waterpark, but day trippers can play a game of MagicQuest and use other attractions. Go past the outlet malls to eat at Country Cousin, where you’ll find kitschy country décor and big portions of family-friendly fare. The Lewis County Historical Museum is about a mile and a half form I-5 via Exit 79. It features displays about pioneer life and has a hands-on children’s area. The Veterans War Memorial Museum is immediately off Exit 77. It’s probably better suited for older children and history lovers, though young ones will likely be wowed by the vehicles in the parking lot. 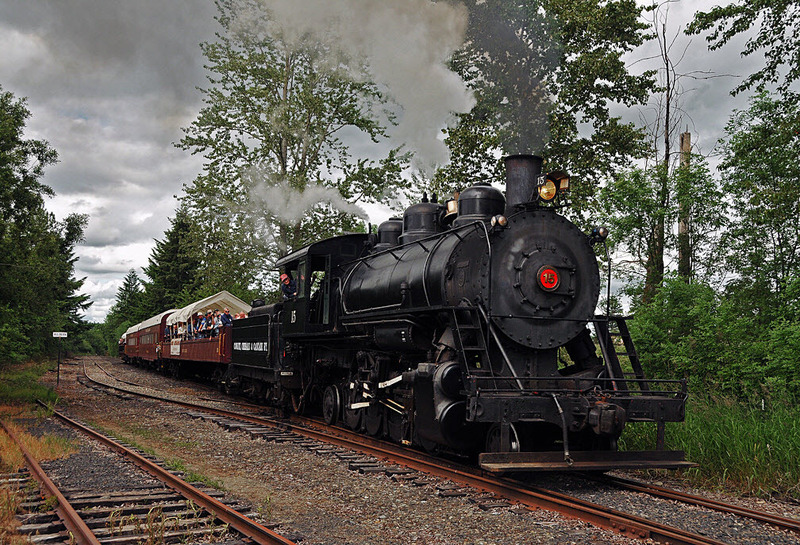 The Chehalis-Centralia Railroad and Museum, at the same exit (very close to the Veterans Museum), has exhibits that will interest your train fans. If you’d like to add a train leg to your journey, there are two routes available, but you’ll need to allow an hour and a half for the shortest. Booking ahead is recommended. Kids who need more active diversions will have fun at Recreation Park and Penny Playground, which features a castle-like structure and a sprayground (Kiddy Spray Park) in the summer months. It’s less than a mile off I-5 via Exit 76. 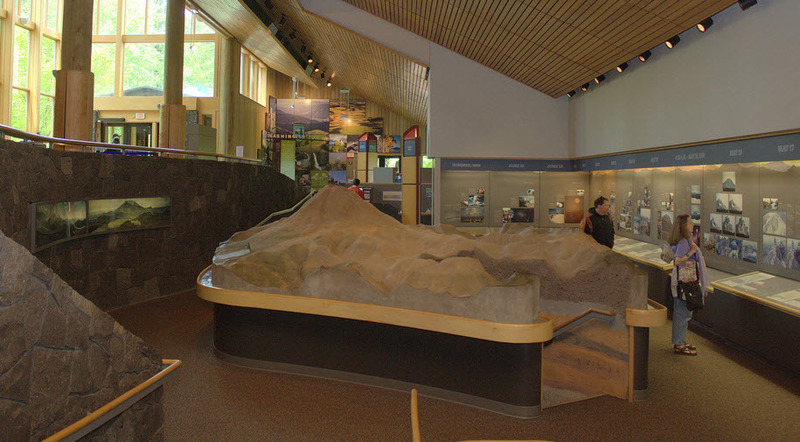 Take exit 49 to the Mount St. Helens Visitor Center. Though it’s about six miles from the freeway, it’s a nice way to break up this stretch and our kids loved stomping to create an earthquake and climbing into the volcano. There is also a pretty boardwalk trail just behind the center. Admission to the center is free for kids ages 6 and younger, $2.50 for kids 7–17. Adults are $5. There is also a family rate of $15. This area tilts heavily towards antiquing and sports fishing, but venture over to Kalama’s Marine Park and you’ll discover five acres on the Columbia River with a playground, marine traffic to watch and a totem pole. And recently opened in mid-2018: McMenamin's, the local network of restored buildings-turned-hotels opened a Hawaii-themed lodge in Kalama. If you’re used to cruising by Vancouver on your way to Portland or other adventures, do make a plan to visit. It boasts historical sites such as Fort Vancouver where children can learn about the fur trade, walk officer’s row and maybe see a blacksmith in action. It’s about a mile from the freeway. Tip: The reconstructed fort site is south of the visitor center — follow the park road that connects the visitor center parking lot to the fort parking lot. Vancouver is also justifiably proud of its expansive parks system. If you have time for only a quick stop, try Esther Short Park. The oldest public square in Washington, it underwent an extensive renovation in the 1990s and now features a playground and fountain for children and a farmers market in the summer months. Reach it via Vancouver city center exits. Does your family have an I-5 must-see that I missed? Tell us in the comments, or let us in on your other car trip survival strategies. Happy travels! Editor's note: This article was originally published in 2014 and updated for 2019.